Salmon fishing is like anything else in life when it comes to knowing exactly what you are doing and a solid understanding of what makes an effective river approach will separate you from the vast majority of UK salmon fishers. Scotland would produce double the amount of salmon annually if the general salmon fishing standards were improved amongst anglers. It is simply not enough to go out and buy what a tackle dealer is pushing as the latest 'fad' and then turn up at a salmon river and expect instant results. In saying that there's nothing in this sport that beats being in exactly the right place at the right time but these occasions are very few and far between. Normally your fly selection, water coverage & general salmon pool approach has to be correct to give you a good chance of success in salmon fishing. Few people take proper tuition in this sport and rely on advice from their fishing colleagues or snippets of advice from beat ghillies who in many cases are busy with doing their jobs in looking after multiple guests on any one fishing day. It is important that you seek proper salmon fishing advice from those who have served their time 'professionally' on the salmon rivers of Scotland. There is nothing that beats full time river experience whether it be simple advice on how to read a salmon pool or fine tuning on how to maximise the loading ability of your fly rod when performing the Spey cast. A full time 'professional' ghillie will have seen it all thousands of times and that supersedes any advice a 'part time' instructor could logically ever be expected to deliver. The business of catching a fascinating creature that's swum blind folded to and from its rich oceanic feeding grounds navigating on its extra sensory perception, scent & magnetic field has to be given credit for being an intelligent creature with its added ability to avoid predation from its birth in the river and all throughout its adult life in the sea. Don't underestimate a salmon ability to avoid your fly or lure or even if you're fortunate enough to hook one how it will easily escape capture if you don't play the fish correctly. Taking proper tuition and salmon fishing advice from one of Scotland's professional salmon guides or ghillies will significantly and effectively accelerate your start in this amazing pursuit. Early success will keep you in this pursuit for life and ensure you gain value from your initial fishing equipment outlays and your kit doesn't become an Ebay casualty. In addition to that staying in this traditional Scottish sport will give you the most amazing natural dimension to your recreational life that's a polar opposite of brilliance to the normal crap society has to offer. 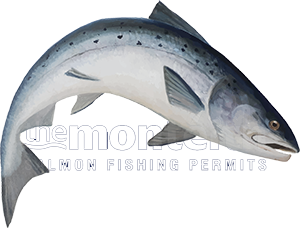 Book a professional Scottish salmon fishing guide to grasp all the required salmon fishing tactics to accelerate the multi faceted learning curve of Scottish salmon fishing.